DiscardLess Atlas [on line]. 2017. Guitton J., Ulrich, C., Vermard Y., Afonso P., Andonegi E., Argyrou I., Calderwood J., Fauconnet L., Quetglas A., Morato T., Prellezo R., Robert M., Savina-Rolland M., Triantaphyllidis G.,Vaz S.
DiscardLess will help provide the knowledge, tools and technologies as well as the involvement of the stakeholders to achieve the gradual elimination of discard. This atlas is part of the Discard Mitigation Toolbox that DiscardLess will produce. As for the Ices Area, data used are all publicly available. Data on catches and discard can be downloaded from STECF dissemination tool . The data are provided by European Member States through a data call. Although the data and indicators presented in STECF website have been produced after extensive data validation procedures by JRC and assessment by STECF, no warranty is made regarding the quality and completeness which is under the responsibility of the Member State. Data on Stock assessment in Mediterranean Sea come from STECF or GFCM website. The estimation of fisheries specific international landings and discards is based on linking the information about fisheries specific discards and catch and discards at age among countries and replacing poor or lacking values with aggregated information from other countries. Reported data by country are aggregated by fisheries and raised to the officially reported landings or discards in the format stipulated in the annual DCF fishing effort data calls. A similar format had been designed by ICES SGDFF 2004 (ICES 2004) format. 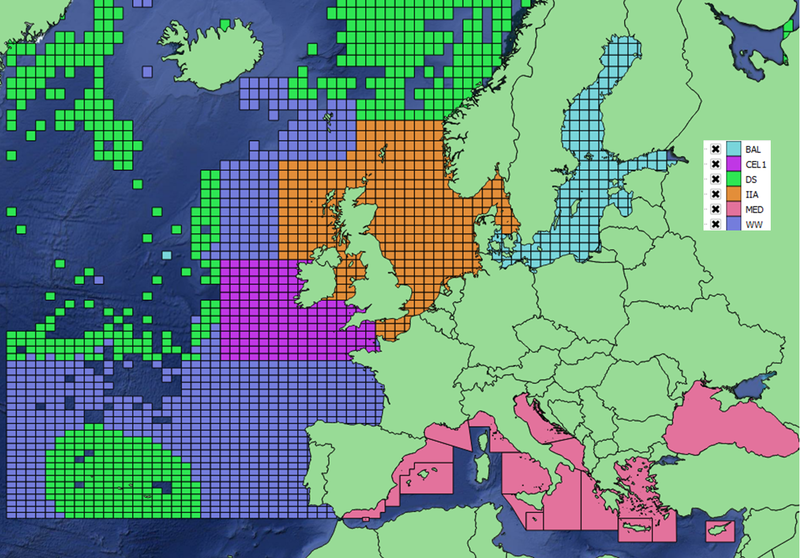 Fisheries definitions are based on area, year, quarter, gear, mesh size groups, special conditions as defined in Annexes IIA-C of the annual fishing opportunities regulation or the multiannual management plans, and national fisheries (metiers) definitions. 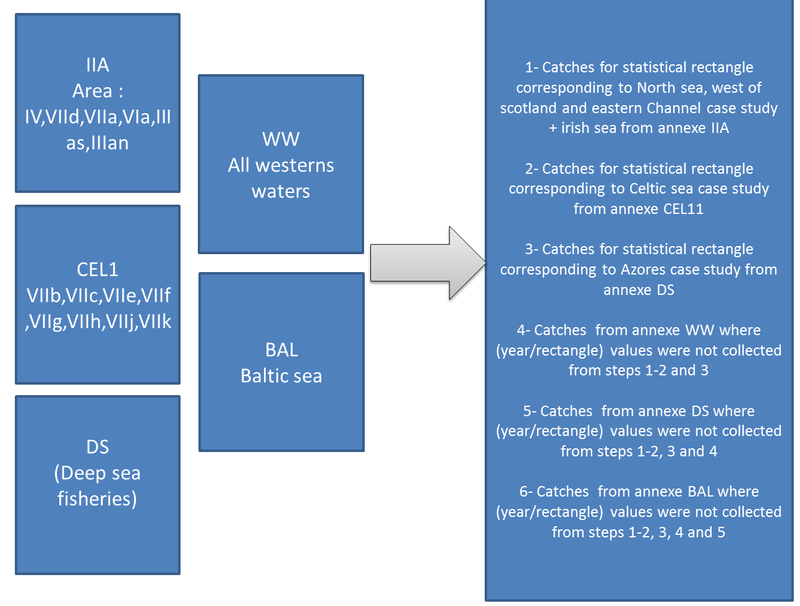 Stecf data are provided by separate effort regime (Annexe), while in this atlas a unique global database is needed to enable a global view of discards. 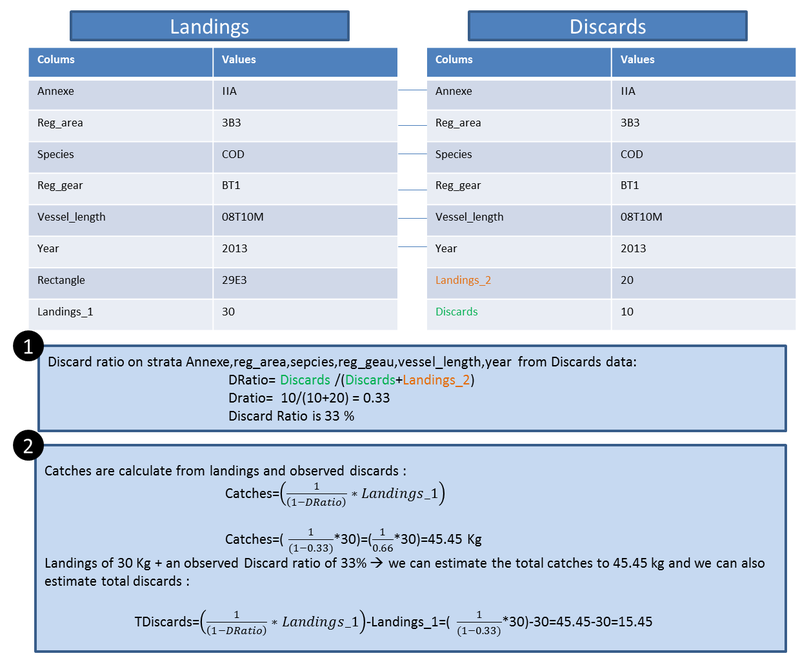 Once the database is filled-up, we can use landings and discard ratio to estimate Catches and total Discards. Here is a schema and a sample of calculation made to produce indicators. Extract tha same indicator for a list of factsheet. Produce comparable view of the information. Meta data / Indicator description : from the objectives of the indicator to the precise sql query used to produce the data. You can also access a description of the process used to produce the data.